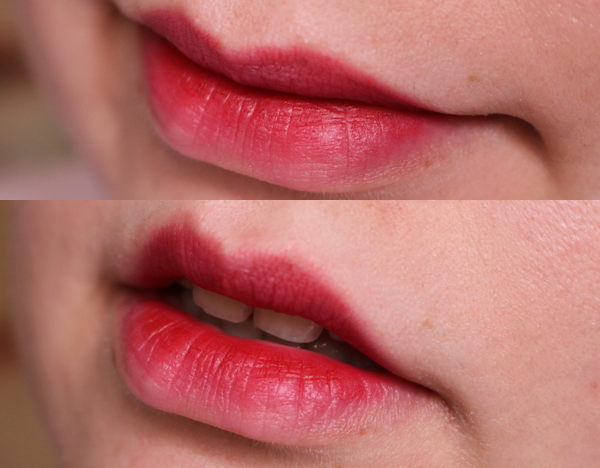 One beauty trend I initially didn't get into was the gradient lip. To me, it just looked like your lipstick had started to fade and you needed to retouch it. However, I eventually came around and also decided to finally give it a try. Funnily enough, that exact thought popped into my head while I was browsing a Maybelline display earlier this week. My eyes then spotted their line of Color Sensational Lip Gradation Lipsticks (Php349.00). I figured it was the best product for a gradient lip newbie like me so I snatched one up. Plus, it was on sale! "Now you can wear brights every day the gradation effect way! With a unique cushion blender, you can smudge out the bold matte pigment to create a gradation effect look." 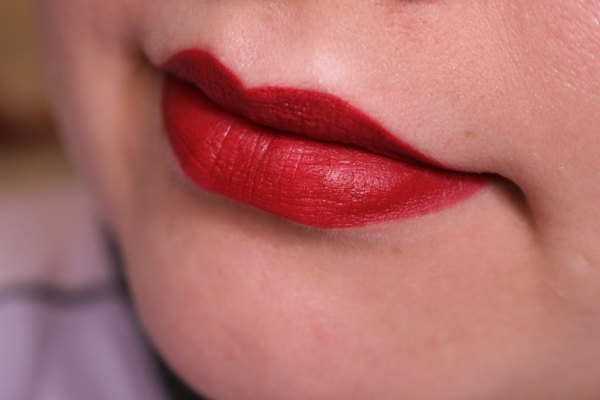 As you probably already noticed, this is a dual-ended lipstick. On one side (right) you have the actual lip product. 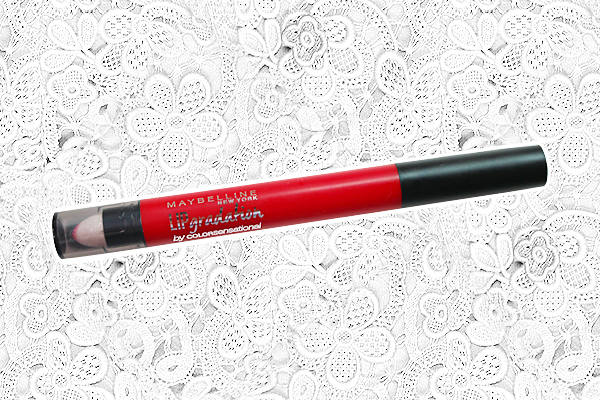 Its smaller, pointed tip allows you to apply the lipstick just within the center of your lips. Then with the sponge on the other end (left), you blend out what you applied to create that gradient effect or the 'gradation'. Of course, you don't have to go for that effect if you don't want to. You can always opt for a traditional look and fill in the whole of your lips like you would a regular lipstick. The fact that the tip is small actually lets you apply your lipstick in a neater and more precise way. The line comes in eight shades. I opted for Red 1. There are two red shades to choose from and Red 2 looked like a darker, more muted shade of red from what I saw. I didn't bother swatching the other shades and immediately chose Red 1 because most of the other colors were varieties of pink and I rarely wear pink lipstick anymore, especially bold or bright pink ones. The remaining shades didn't appeal to me either. Maybelline did a pretty great job with the formula for this. 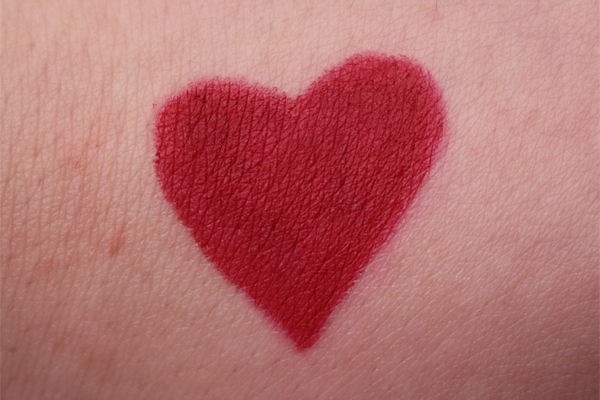 It's an almost true matte finish, but it glides on like butter and is really creamy upon application. It does start to feel a little drying once you've worn it for a couple of hours though, so to avoid that you'll just need to prep with a lip balm beforehand. No feathering or bleeding too with this one too, which means no need for a lip liner like with most other red lipsticks. No doubt about it, if you want something more toned down, but still cute and unique, go for the gradient. And while I do love how the gradient effect looks on me, I'm not a big fan of retouching it. It's a bit more work considering you'd have to blend again each time you do. I'd much rather just swipe on any missing color and be done with it. Speaking of which, the formula has good wear time as long as you don't eat or drink (unless you use a straw). It can safely last 5+ hours if your lips aren't going to be 'disturbed'. So am I a gradient convert? Well, yes and no! Like I said, I do love the effect, but it's something I'd only go for if I know I'm not going to be eating or drinking while wearing it, or if I won't be bothered to retouch once it disappears. I'd say it's nice for pictures too! Otherwise, I'd happily settle for the full lip application instead. After all, I really like how easy it is to apply thanks to its creamy formula and the precise tip. It's also a shade that compliments my skin tone, so I'm not complaining! Formula glides on lips and is creamy when applying. Has an almost true matte finish. A decent amount of shades to choose from. Sponge tip makes it easy to blend out to achieve the gradient look. 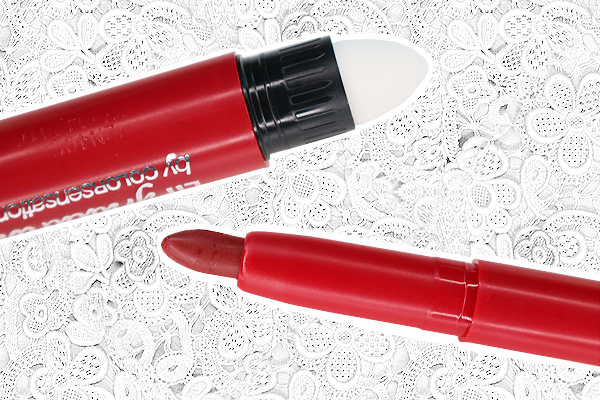 Small lipstick bullet allows for precise and neat application. It's a dual effect product. You can use it for a gradient look or a full matte lip. Can be a little drying on lips, especially if you already have dry lips like I do. Lip balm needed to avoid this. Wear time is okay. Can last 5+ hours as long as you don't eat and/or drink. I purchased this for Php249.00 because it was on sale. Its original price where I got it was Php349.00, but I've also seen other websites listing the initial SRP as Php399.00. Try the gradient effect on yourself with the testers first before purchasing to see if you really like the outcome. I've read people with darker or pigmented lips stating that the effect isn't visible or flattering on them.